The Cendor MOPU case law brings a new scenario to insurance law. Causation is a very important part in marine insurance law. The general principle in English Law is that the insurer will only be liable for any loss, which is proximately caused by a peril insured against. (Marine Insurance Act, 1906, section 55). At the beginning of last century, the determination of the proximate cause in common law was considered to be the nearest in time. This approach was changed with ruling in Leyland Shipping Co v Norwich Union Insurance Co. AC 355, which clarified the meaning, and provided authority: proximate cause is that which is proximate in efficiency. The ruling In Canada Rice Mills v Union General Insurance Co  AC 55 at 69, stated that the proximate cause had to be determined “according to a broad commonsense view of the whole position”. Lately, Bingham LJ in TM Noten BV v Harding  included that the commonsense view to apply was “of a business or seafaring man”. The Cendor MOPU provides new authority: the defense of inherent vice in cargo will be valid, only when the sole reason for such loss is the nature of the cargo, without external fortuitous events. When a loss is developed with the assistance of an external circumstance as by action of wind and waves, the dominant cause of the loss is perils of the sea. This decision refers to a case in which the Insurance Company Syarikat Takaful rejected a claim of a loss. 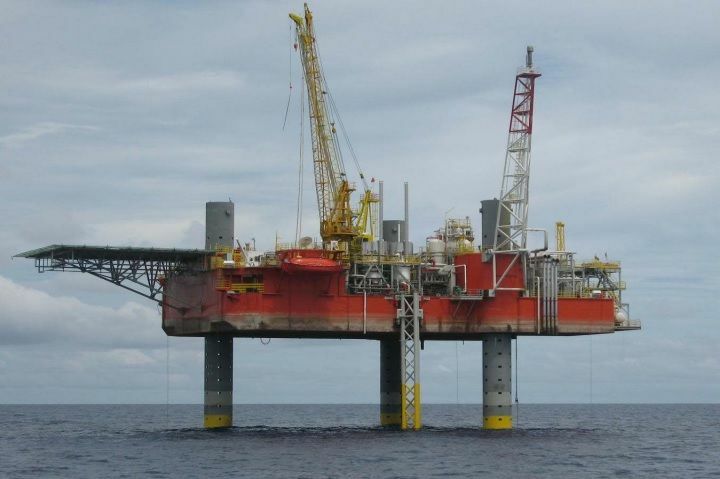 On May 2005, Global Process Systems (the assured) bought a Oil Rig “Cendor Mopu” to be transported on the towed barge “Boagarge 8”from Galveston, Texas (U.S.) to Lumut in Malaysia. The rig had three legs (tubular structures) The oil rig was insured with on a all risk policy which incorporated the Institute Cargo Clauses (ICC A), At the moment the barge arrived at Saldanha Bay some repairs were made according to recommendations by the surveyors approved by the insurers. It was found a considerable degree of fatigue cracking around the pinholes of the legs of the oil rig. These repairs did not prevent the failure of the legs. One of the legs first broke off and fell into the sea. The next day, the two other legs fell off as well. The insurers rejected the claim based on inherent vice. (Clause 4.4 of Institute Cargo Clauses (ICC A) excludes the cover of loss, damage or expense caused by inherent vice or nature of the subject matter insured). Blair J in the Commercial Court rejected the claim considering that “the proximate cause of the loss was the fact that the legs were not capable of withstanding the normal incidents of the insured voyage from Galveston to Lumut, including the weather reasonably to be expected.”. He also concluded in fact that the loss was very probable but not inevitable. The Court of Appeal reversed the decision with the opinion that the “ proximate cause of the loss was an insured peril in the form of the occurrence of a “leg breaking wave”, which resulted in the starboard leg breaking off, leading to greater stresses on the remaining legs, which then also broke off.” The insurers appealed before the Supreme Court. The Supreme Court on February 1, 2011, unanimously dismissed the appeal. The essential question in this case for the Supreme Court was one of causation: the loss was caused by an inherent vice in the legs, or as a consequence of peril of the seas, or the concurrent two competing causes. The “rival causes”. A inherent vice of the cargo was not considered to be a concurrent cause of the loss. The loss came from an external agent, the stress imposed to one leg by the sea -in a form of a breaking leg breaking wave, which produced the falling of the two remaining legs. It was also stated by Lord Mance that perils of the sea and inherent vice are exclusive perils, they may not appear together as proximate causes in a loss. A peril of the sea is to be considered a paramount provision, the only proximate cause of the loss. Lord Mance also considered that the exclusion of inherent vice is to be considered as a limitation of cover and not as a concurrent cause of exclusion. Lord Saville considered that the Mayban case (Mayban v General Insurance BHD v Alstom Power Plants Ltd  2 Lloyd’s Rep 609) was wrongly decided. In this case it was common ground that the immediate cause of the damage to the cargo was the violent movement of the vessel due to actions of the wind and sea, but that also the cargo (the transformer) was not able to withstand the ordinary conditions of the wind and sea. “ if the conditions encountered by the vessel were not more severe than could reasonably have been expected, the conclusion must be that the real cause of the loss was the inherent inability of the goods to withstand the ordinary incidents of the voyage” This was the test applied by Blair J in the Commercial Court decision for The Cendor MOPU. The meaning of perils of the sea was clarified in this decision. The Act refers perils of the sea as to “only to fortuitous accidents or casualties of the seas. It does not include the ordinary action of the winds and waves” Miss Jay Jay judgment was referred, (JJ Lloyd Instruments Ltd v Northern Star Insurance Co Ltd  1 Lloyd’s Rep 264, 271). The word ordinary attaches to action, not to wind or waves. Perils of the seas are not confined to cases of exceptional weather or weather that was unforeseen or unforeseeable; It means that if the action of wind or sea causes a loss the assured has the right to claim under the policy. The fortuitous loss need not be associated with extraordinary weather as Rhesa Shipping SA v Edmunds (the Popi M)  1 WLR 948. It is regarded that winds and waves produced an extraordinary effect, even when their appearance was not extraordinary. This means that insurance companies will not be able to rely of a defense against perils of the sea based on the normal, ordinary or foreseeable conditions of the weather.